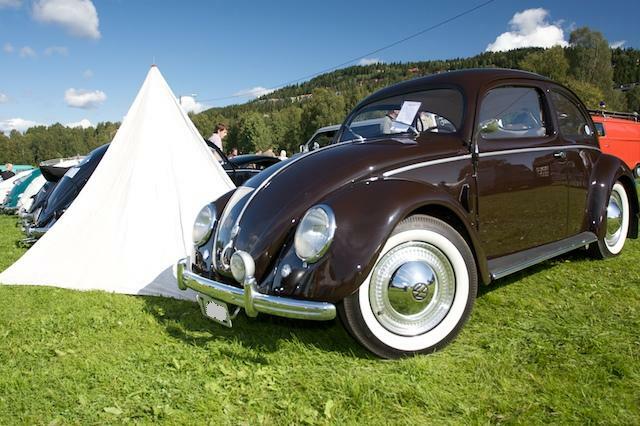 The Norwegian vintage VW club (founded 1966) has an annual prize for "best restoration". On this year's annual meeting our true Sechs volt-friend Erik Sitje was awarded the very sought after prize for his chestnut 52 split. Erik found this car in a forest, and used the next couple of years to restore it. He has told us stories about a tree growing through the wreck when found, and an incredible amount of work and detailing har been put into the project. Erik has a garage filled with several nice VWs, among a beach buggy built for his wife's 39th birthday. He has also been in touch with the 52 Capitan several times, and helped out with his skills at the Sechs Volt Garage. Congratulations!